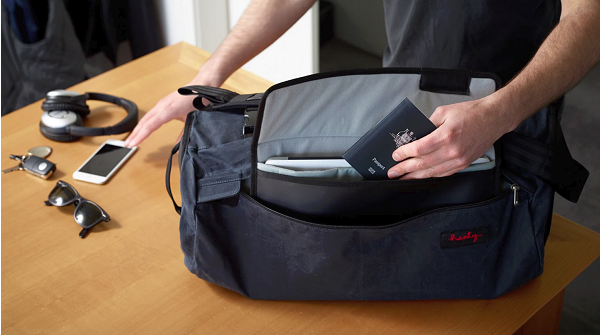 Two Aussie mates have designed the ultimate bag for active travellers, the Henty CoPilot, which was made possible by a crowd-funding campaign. The campaign had more than 1,000 backers who pledged over $320,000 to bring the two-bag system to life. The Henty CoPilot consists of an outer garment bag and a spacious grab 20L inner utility bag. The garment bag wraps around the utility bag or can be worn separately as a stand-alone backpack. The garment bag is made from recycled plastic and features semi-rigid vertical ribs so that when rolled the bag holds clothes in place, minimising creasing. 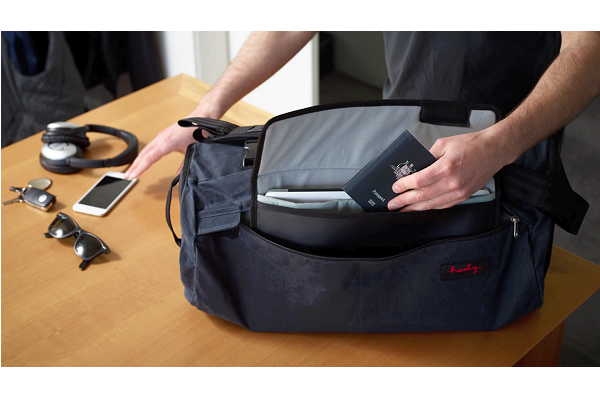 The Henty CoPilot also has enough space for a laptop and other tech devices, two pairs of shoes, toiletries, accessories and gym gear. It can be used as carry-on, enables hands-free transitioning through terminals and can be easily stowed in overhead lockers. The Henty CoPilot features a large external pocket handy for passports, tickets, important documents and keys, a removable laptop pouch, coat hanger with pivoting hook, comfortable padded adjustable straps with solid aluminium buckles, leather handle and a high-visability contoured waterproof rain jacket to protect your bag and belongings.